Academician, Academy Prof. Markku Kulmala directs the Institute for Atmospheric and Earth System Research (INAR) /Physics, and has served as a professor at the University of Helsinki since 1996. 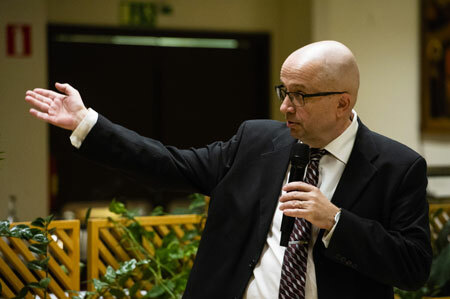 Kulmala also acts as coordinator for the Centre of Excellence, appointed by the Academy of Finland first time in 2002 and Digital Belt and Road Program International Center of Excellence at University of Helsinki. Previously he has directed two Nordic Center of Excellence, appointed by Nordforsk (BACCI and CRAICC)). CRAICC is the largest joint Nordic research and innovation initiative to date, aiming to strengthen research and innovation regarding climate change issues in the Nordic and high-latitude Regions. Prof. Kulmala together with Prof. Hari is the primary inventor of the SMEAR concept. According to the ISI Web of Knowledge, M. Kulmala has been in the top 10 in the Citation Rankings in Geosciences (since 2009). His H-factor is 104. Prof. Kulmala has received several international awards such as the Smoluchovski Award (1997), the International Aerosol Fellow Award (2004), the Wilhelm Bjerkenes medals (2007), Fuchs Memorial Award (2010), Litke Gold Medal of Russian Geographical Society (2015). the honorary title of Academician of Science (Finland and China), Wihuri International Prize 2017, Distinguished Visiting Fellow (IIASA), and World Academy of Sciences fellow. The production of molecular clusters and their growth to larger sizes, is a world-wide phenomenon, with a significant contribution to aerosol particle number load and indirect radiative effects as well as urban air pollution. Understanding the very initial steps of atmospheric aerosol formation requires detailed knowledge of interlinked physics and chemistry in sub 3 nm size range. There is always more or less intensive clustering in the atmosphere but only some fraction of those clusters are able to growth to 3-4 nm and further to cloud condensation nuclei and haze particle sizes. However, NPF is a major aerosol source affecting significantly to global aerosol and CCN load as well as global climate and regional/local air quality. Maria E Messing is currently leading the aerosol nanoparticle group at the division of Solid State Physics at Lund University, Sweden, where she specializes on generation and characterization of nanomaterials. The main focus of her research group is development and advanced characterization of designed nanoparticles by aerosol methods, primarily spark ablation. The emphasis is on production of metal, semiconductor and alloy particles for different applications and Marias favorite characterization tool is the electron microscope. Maria obtained her Master in Engineering Nanoscience in 2007 and her PhD in Physics in 2011, both from Lund University where she now holds a position as associate professor in Materials Physics. 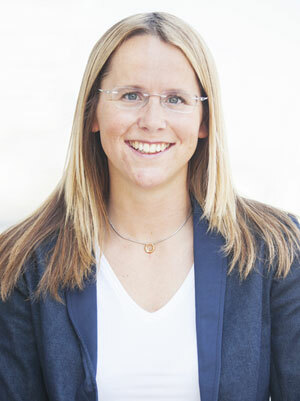 She is, since 2015, one of two coordinators of the material science research within NanoLund, which is one of the research excellence areas of Lund University with more than 250 affiliated researchers. Additionally, Maria is responsible for the popular scientific outreach activities towards the general public organized by NanoLund, and a member of the Swedish standards institute (SiS) working group on nanotechnology. Smart nanomaterials with designed properties based on nanoparticles have the potential to revolutionize applications in magnetics, catalysis and optoelectronics. But implementing nanoparticles’ potential for such applications requires realizing and understanding nanoparticles with controllable size, morphology, crystal structure and chemical composition on a large scale, at low costs and in a safe and environmentally friendly way. Spark ablation is a method with high potential to fulfill the above declared requirements, especially for the production of pure metal and metal alloy particles. In this talk I aim to demonstrate some of the possibilities with aerosol-based nanotechnology, focusing mainly on spark ablation. I will show how spark ablation can be used to produce nanoparticles with fully controlled and tailored size, morphology and chemical composition. I will then show examples of the possible use of these particles in magnetic, catalytic and optoelectronic applications. 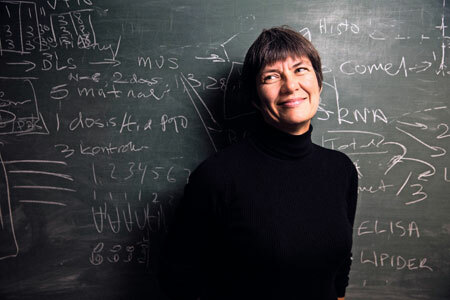 Ulla Vogel is professor in Chemical Working Environment at the National Research Centre for the Working Environment (NFA) and adjunct professor in Nanosafety at the Technical University of Denmark. She is head of Danish Centre for Nanosafety and has worked with the toxicology of inhaled (nano)particles for 20 years with focus on cancer, cardiovascular disease and reprotoxicity. The Nanosafety research group at NFA is past and present partner in more than 20 EU projects related to nanosafety. Ulla Vogel is a European Registered Toxicologist and acts as advisor to the Working Environment Authority, the Environment Protection Agency and the Ministry of Health. Most nanoparticles are more hazardous (by mass) by inhalation compared to larger particles with the same chemical composition. This is especially true for nanoparticles with low solubility and low toxicity. Carbon nanotubes constitute a group of highly toxic nanomaterials when inhaled and other high-aspect-ratio nanomaterials may potentially have similar toxicity. Inhalation of nanomaterials has been shown to cause inflammation, acute phase response, fibrosis and tumors, thus linking inhalation of nanomaterials to risk of cardiovascular disease and cancer. Based on animal studies, NIOSH (National Institute of Occupational Safety and Health in the USA) suggested occupational exposure limits of 0.001 mg/ for carbon nanotubes and 0.3 mg/m3 for nanosized titanium dioxide. In conclusion, inhalation of nanomaterials can be linked to risk of cancer and cardiovascular disease. Accordingly, occupational exposure to nanomaterials should be carefully assessed. 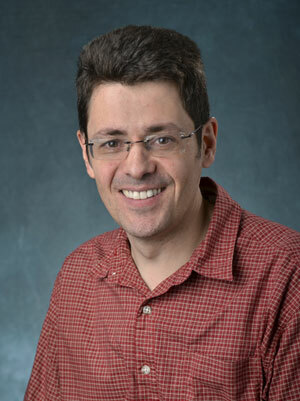 Jose-Luis Jimenez is a Professor of Chemistry and Fellow of CIRES at the University of Colorado-Boulder. He received a Mechanical Engineer degree from the Universities of Zaragoza and Compiegne in 1993, a PhD from MIT in 1999, and was a postdoc at Aerodyne and Caltech. He was one of the co-developers of the Aerodyne Aerosol Mass Spectrometer (AMS). He is an author of over 380 peer-reviewed papers, a Fellow of the AAAR and AGU, and an ISI Highly Cited Researcher. His group has performed extensive experimental and modeling research on the sources, properties, processing, and the fate of submicron aerosols. He has participated in multiple collaborative projects such as the field studies in CalNex 2010, Southern Atmospheric Study 2013, Atmospheric Tomography (ATOM) 2016-18 and others. Submicron aerosols have important impacts on climate, human health, and atmospheric chemistry, but their sources, properties, and evolution remain poorly understood. The impact of secondary organic aerosol (SOA) formation on human health in urban areas can be better predicted by using recent experimental results, and accounts for ~400,000 deaths / year. The NASA ATom project provides a unique characterization of remote aerosols worldwide pole-to-pole and across the vertical extent of the troposphere. Results suggest the importance of fast OA removal by photolysis and/or heterogeneous reactions. Global models show reasonable agreement for OA, however partially for the wrong reasons as there is a strong overestimation of primary OA (POA) in most models. There is a trend of decreasing submicron pH from urban to remote regions. Remote aerosols are very acidic with a typical pH ~ 0, significantly lower than predicted by models. Finally, changes of SOA for future climate and emissions will be discussed. I completed my PhD in 2005 on ’Modelling the hygroscopic properties of atmospheric aerosol particles’ at the University of Manchester Institute of Science and Technology (UMIST) after finishing a degree in Physics at the same institute. Following this I became a fellow of the UK National Centre for Atmospheric Science (NCAS) before taking on the role of a senior research fellow part funded by the School of Earth and Environmental Science (SEES)/Centre for Atmospheric Science (CAS) at the University of Manchester where I am now a senior lecturer. My research focuses primarily on monitoring and predicting the evolving characteristics of aerosol particles, and their impact, through computational models. My initial research interests focused on building computational models at the single particle scale. These included multicomponent/multiphase models designed to predict hygroscopic properties and act as a benchmark for experimental studies. Following this I have developed and applied a range of model frameworks from automated box-models through to parameterizations of aerosol processes used in regional and global models. From an experimental perspective, this has included managing and collaborating on a range of laboratory studies designed to increase model fidelity through provision of fundamental property data. Driven by both the complexity of aerosol and the need for supporting reproducibility, I now develop and coordinate open source informatics and model frameworks, including the UManSysProp suite designed to automated predictions of molecular properties deemed important for prediction aerosol evolution. Most recently my research focuses on evaluating the efficacy of emerging data science driven methodologies in tackling topical questions in aerosol research. This includes evaluating, for example, methods for predicting and unraveling complex spectral signatures of sampled aerosol particles. Most recently I became a fellow of the Alan Turing Data Science Institute, the UK’s national institute for data science and artificial intelligence in the UK. 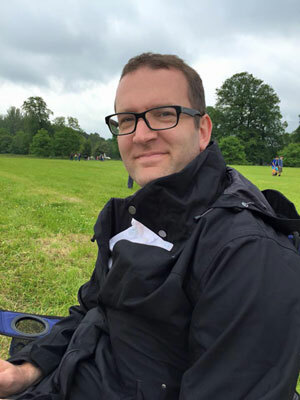 Throughout this fellowship I am continuing research into evaluating the use of machine learning in tackling ongoing challenges in aerosol research, including determining the role of process complexity and assess impacts on health. Machine learning is pervading most areas of research, promising the potential to deliver new insights and solutions to topical questions relevant to science and society. Aerosol science is no different and, as a highly multidisciplinary area of research, delivers a wide range of problems to which machine learning might be applied. Indeed a recent report by the UK aerosol society notes that ‘Aerosol science is core to a broad range of disciplines extending from drug delivery to the lungs to disease transmission, combustion and energy generation, materials processing, environmental science, and the delivery of agricultural and consumer products’. This naturally provides a range of challenges when it comes to technology adaption, not least from a training and development perspective. One might argue each element of aerosol research has distinctly different drivers when it comes to such adaption and this should be managed in a siloed way. However, in some ways, the excitement and widespread use of machine learning brings its own momentum in whatever discipline it is applied. Some consider wide-scale adoption of machine learning to reflect a form of ‘solutionism’, whilst others are demonstrating a quantifiable benefit. In this talk, I will attempt to generate a debate on such issues by providing examples of adoption across aerosol science. These include, but are not limited to: new approaches for extracting information from aerosol instrumentation; methods for evaluating impacts on human health; methods for predicting fundamental properties; and techniques for reducing computational cost in process models. As already noted, aerosol science is naturally multidisciplinary and machine learning might offer a vehicle for efficient knowledge exchange if we appreciate the key factors that will dictate sustainability and wide-scale use.